So I don't usually do Halloween as one is from a Seventh day Adventist Family, but one couldn't resist the dressing up situation... 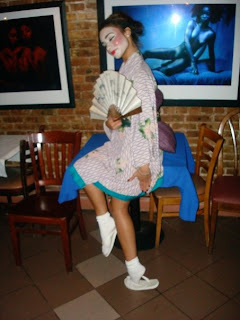 I kept it close to my Heritage Japanese Style, even though one is part Chinese LOL Geisha Girl RULES....!!!! !